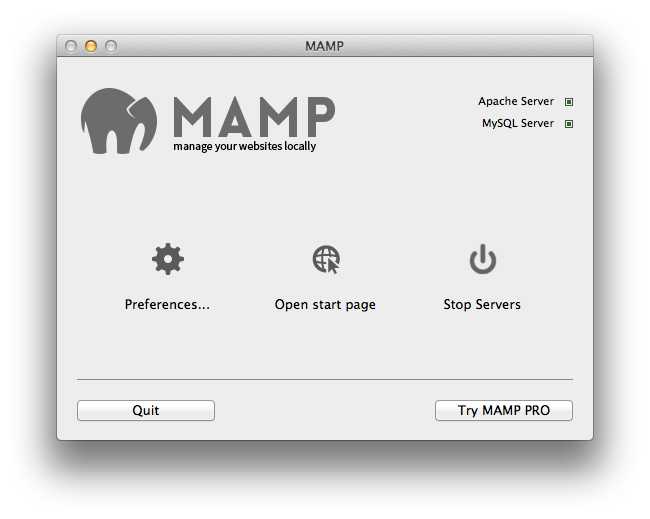 One of the core apps that brings my development environment together is MAMP. Below I will discuss the best way I have found to configure MAMP. Welcome to the world of local development. Look forward to testing your sites without having to work on a production server. Assuming you followed all of the instructions for MAMP, you probably stuck with the default location for all of your files. Isn’t it a pain to navigate to Applications/MAMP/htdocs/ every time you want to open up a site locally? Well MAMP makes that super easy to change, but where is the best place? I’ll show you. Open up finder and go to your home folder. It has a variety of default Mac folders such as Desktop, Documents, Downloads, etc. Go ahead and make a folder called “git”. I chose “git” because this is also where I store all of my projects that utilize git. Note: you can use any folder name, but make sure that it is simple, without spaces. You could be typing it a lot. Launch MAMP, click Preferences, and go to the Apache tab. Then select the new folder you just created. You may be asked for you Mac password. This is because MAMP is restarting Apache. These steps are not absolutely required, but can make your experience much smoother, especially when dealing with WordPress and other web applications heavily relying on Apache, PHP, and MySQL. 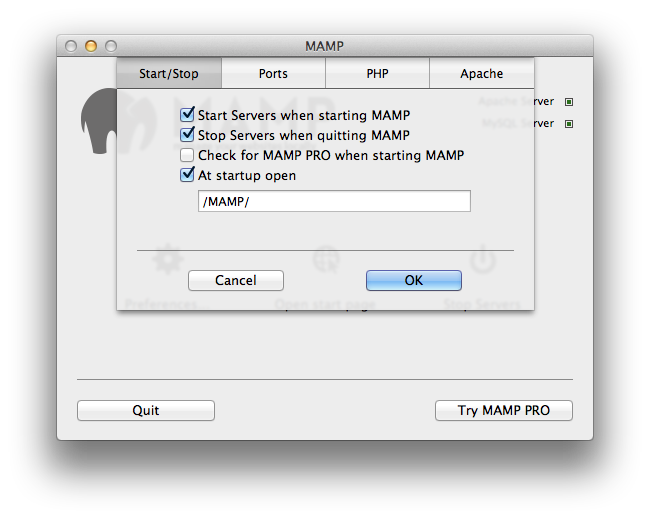 Now that you have MAMP setup, it is time to test it. All you have to do is bring the various web files you have created and drop them in the git folder. Then you should be able to point your browser to: http://localhost/ and see files within the git directory. For those tinkering with git, keeping things in this logical folder system will be a core part of your environment. I mentioned using a simple folder name to house all of your website files. This is because the shorter and simpler the folder name is, the easier it is to access on command line. To navigate to the folder via terminal, all you have to enter is cd ~/git. Once you start heavily start using git, this time saver is crucial. It is very easy to drag and drop the git folder to your sidebar to access it more quickly.